How to backup Blu-ray movies? Blu-ray Disc is a digital optical disc data storage format, in that it is capable of storing 1080p video. The format was developed by the Blu-ray Disc Association, a group representing makers of consumer electronics, computer hardware, and motion pictures. According to Singulus Technologies AG, Blu-ray is being adopted faster than the DVD format was at a similar period in its development. As we know, we can't copy and transfer Blu-ray movies to a computer or other portable devices, such as Galaxy Tab S, iPad Air, Nexus 5, iPhone 6, Galaxy Note 4, HTC One, Xperia Tablet Z, etc. If you have collected many Blu-ray Discs and plan to backup your collections to computer via different for playing on any devices, you have come to the right place. This article explains how to easily transfer Blu-ray movies to computer by using best Blu-ray ripping software - Acrok Video Converter Ultiamte (Windows | Mac). With this Blu-ray Ripper, you can backup Blu-ray to Mac/Windows computer via three clicks, if you like, you can rip and convert Blu-ray movies to any video format via this Blu-ray Disc backup software. You can free download this software from www.acrok.com. How to transfer/backup Blu-ray to computer? Please follow below steps to learn how to protect your favorite Blu-ray movies. Insert Blu-ray Disc into BD room, run Acrok software on your computer. Click "Load Disc" to load Blu-ray files into this app. You can preview the loaded movies in the right preview window. 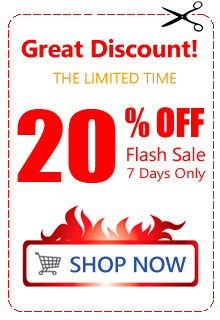 Click "Format" > "Disc Copy" > "Directly Copy-(Only for Blu-ray/DVD)" or "Full Disc Copy-(Only for Blu-ray/DVD)". Click "Convert" button to backup Blu-ray movies to computer. How to rip and convert Blu-ray on computer? Install and run Acrok Video Converter Ultimate as the best Blu-ray converting software, click "Load Disc" to import Blu-ray movies from BD Room/Blu-ray drive. When Blu-ray movie is imported, you can select one wanted audio track and subtitles for output on Acrok software main interface. Acrok Blu-ray ripping software offers numerous presets optimized for any devices, and you can convert Blu-ray to any video format easily. Here, we take H.264 MP4 and iPad Air for example. MP4: Click "Format" bar to choose "common Video" > "H.264 Video (*.mp4)"
iPad Air: Click "Format" bar to choose "Apple" > "iPad Air Video (*.mp4)"
Now just press the big circular "Convert" button to the right and let it do its conversion. You will not need to keep an eye on it as it can help you to shutdown computer automatically. After Blu-ray to your target video format conversion, you can click "Open" button to get the converted movies. Bingo! Now you get the fresh new movie format which can be playback on your device freely. Want to get a Blu-ray player to play Blu-ray movies on Mac and Windows? Acrok Video Converter Ultimate is your best choice, as a Blu-ray player, it is totally free. Besides Blu-ray movies, this free video player supports DVD movies, VOB, MXF, MTS, HD MP4, MKV, AVI, etc., formats playback. There is something more we can do. If you are not totally satisfied, please let us know. We will do our best to improve. 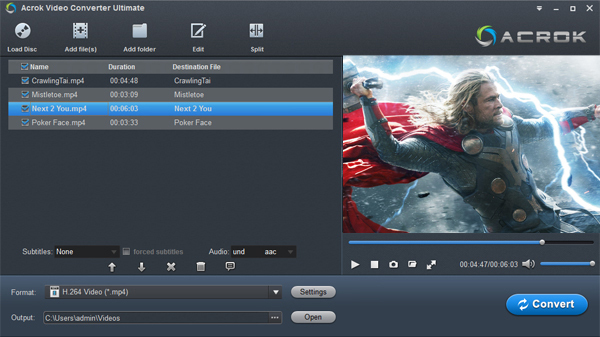 Acrok's Video Converter Ultimate has a lot of great features, such as customizable output formats, intuitive clip trimming, add subtitles and so on. This is really a useful Blu-ray ripper that supports converting Blu-ray, DVD and any video format to almost all video formats. I can get 3D movies for my 3D smart TV. Just want to say, reliable!